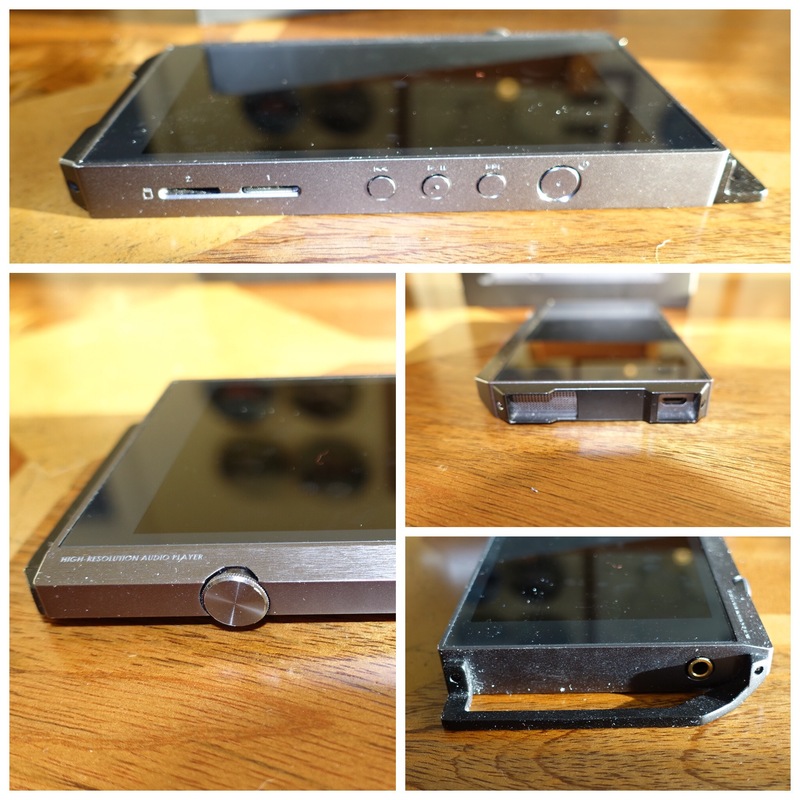 Welcome to my review of the Pioneer XDP-100R Digital Audio Player. 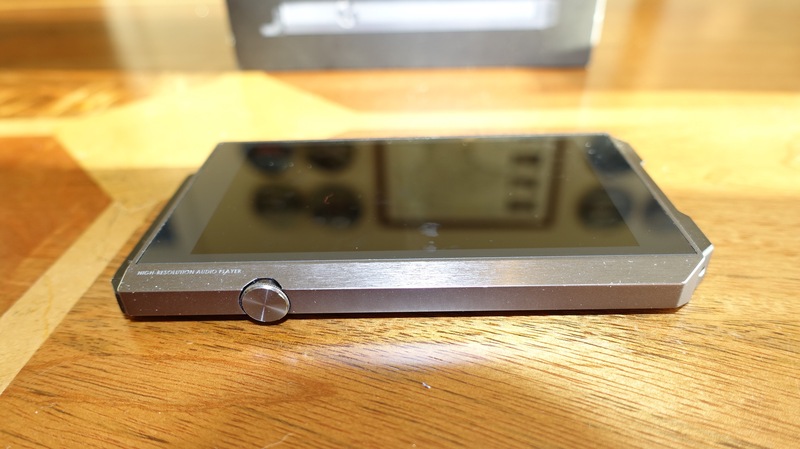 The Pioneer XDP-100R is Pioneer’s first high-resolution portable music player. It is also the world’s first Hi-Res Digital Audio Player to support MQA technology. The Pionner XDP-100R retails for £499. Master Quality Authenticated is a new music codec that packages Hi-Res and lossless files in a way that takes up significantly less space than current Hi-Res codecs. It is like the music is zipped and during playback gets unzipped. The other aspect of MQA is that it can still play on non MQA supported devices, albeit not at the same level of quality. MQA can also be used in streaming services. That means much lower downloads too. Tidal is planning to support the MQA format in due course. MQA support will arrive on the Pioneer XDP-100R via a firmware update fairly shortly. The XDP-100R is extremely well built using an aluminium frame. Just look at the photos. It has removable bumpers on the top and bottom of the device to stop headphones and the micro usb cable placing strain on the input sockets. That is a really neat touch. The bottom edge also houses the loudspeaker. On the right hand side you have 2 micro SD card slots, music controls and the power standby buttons. The top is purely for the headphone jack and the left hand side is the volume control. FLAC and MP3 songs were used for this review. MP3 songs at 320 bit rate. Headphones used included Sennheiser HD598se, Dunu Titan 5, Denon MM400, Audio Technica M50x and Sony XBA-A2. Bluetooth headphones used were Plantronics BackBeat Pro and Lindy BNX-60. Pioneer made a good choice and based the DAP on Google Android 5.1.1. That means that in addition to your own music you can stream music from all your favourites places. Tidal, Spotify and Qobuz are preinstalled. APT-X is present for using Bluetooth. WiFi and DLNA is also present so streaming music to another device is possible. 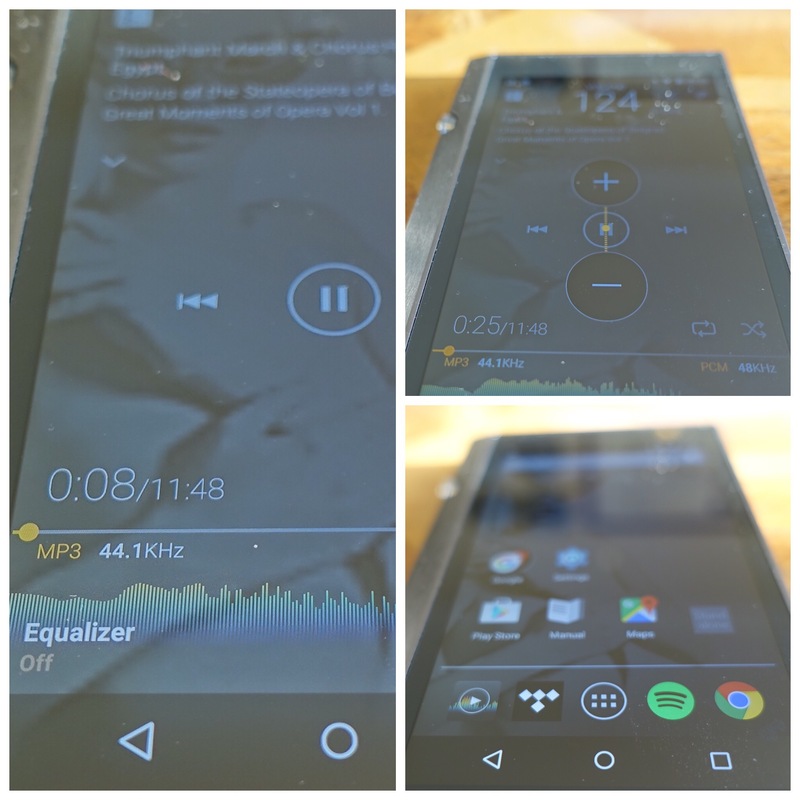 The Pioneer XDP-100R runs a near stock version of android. Extra apps include Pioneer’s own music app and the Onkyo Music store app. This means you can buy Hi-Res music on the XDP-100R, then download and start enjoying your purchased music immediately. The Pioneer will plays lots of different formats from MP3s to 24-bit/384kHz FLAC, DSD, WAV and AIFF files. The DAP has 32gb on board storage. You can then insert 2 x 200gb micro SD cards. Battery life is stated at 16 hours. In testing I achieved 12-13 hours but I was playing around a lot with the DAP. Pioneer has included their own music app. And it’s seriously fantastic. And looks the business. You have tons of different ways to find your music. Upsampling options, club sound boost mode options , equaliser, crossfade, gain, USB Audio, digital filter options and much more. I like the fact that the song artwork becomes your home screen wallpaper automatically. This can be prevented if required. APT-X is present for audio playback and the sound quality was superb using this method. For this test I listened to a number of different genres. I do like the fact that bluetooth is an option on this DAP. It really adds to its versatility. This is where the XDP-100R shines. As I mentioned above I tested the DAP with a range of different headphones to establish an overall opinion. FLAC – The Humming by Enza – The Pioneer recreates the delicacy of Enya’s voice superbly. The bass, treble and mids are all on the mark. It is worth pointing out that the volume increases from zero to 160 in small steps, allowing for precision volume control of all of your headphones. FLAC – Paavo Jarvi – Frankfurt Radio Symphony – Symphony No 1 in G Minor Op. 7 1 Allegro Orgoglioso – As the music escalates , the Pioneer XDP-100R keeps up nicely and delivers plenty of extra oomph as required. The sound is well balanced across all frequencies. The sound field was reasonably wide too. FLAC – Stravinsky Chamber Orchestra- Schindlers List – the piano is so moving. And delicate and precise. Wow. MP3 – Michael Buble – Feeling Good – Oh gosh Michael’s voice is delivered with such authority, slam and attack. The bass is fantastic. Accurate and firm and not over the top. MP3 – Nina Simone – The Other Volume – Nina’s voice is reproduced so well and with such musicality and feeling. The piano and other instruments are all clearly heard too. MP3 – Paloma Faith – Can’t Rely on You – a punchy powerful reproduction with the XDP-100R. All the vocals are superb with a strong bass line. MP3 – Muse – Defector – A powerful musical rock performance by the Pioneer. Stunning. MP3 – Gypsy Kings – Moorea – the guitar playback and rythym is beautiful. In fact my main takeaway with the Pioneer XDP-100R is the fact it possesses such musical, engaging and powerful sound qualities. I found I could close my eyes for hours and hours and enter a different world. All my headphones sounded brilliant with the Pioneer. The Sony XBA-A2 are fairly bass neutral / light but with the Pioneer they came alive. The Pioneer possesses superb bass attack, treble and mid range. Where appropriate the sound stage is dynamic and wide. The toe tapping musicality of this device makes this one additive machine. The Pionner XDP-100R is a great entry by Pioneer into the personal digital audio space. It is future proof with MQA codec support and versatile with WiFi, DLNA and Bluetooth APT-X and the ability to add 2 high capacity micro SD card support. In addition, it offers superb sound quality making the whole package rather attractive. Highly recommended. Well new car is more important Jah. Hi, since you have the DX80, I’d be very interested in a comparison. I have the DX80 myself, and am wondering if the XDP is a suitable upgrade. Any comments on differences between these players would be great – bass, detail, soundstage, depth, etc. Thanks! Hi there. I’ve not heard the bigger brother. My friend has and says it’s amazing vs older. About 20% better . So can’t say more than that until I get one myself to review.